File Formats: Vector PDF, EPS and 2000px PNG formats. Compatible with all popular graphics and video applications. 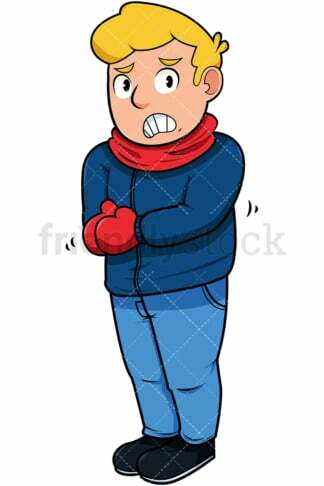 Royalty-free stock illustration of a young man with blond hair wearing winter clothes while out in the freezing cold and trembling even though he’s wearing a scarf and gloves. 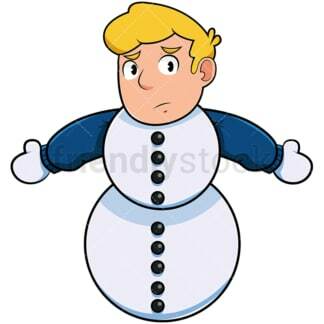 Royalty-free stock illustration of a young man with blond hair out in the freezing cold, turning into a snowman. Royalty-free stock illustration of a young man with blond hair trembling with cold and wearing a blanket to keep his body warm while he sits near a hot cup of coffee. Royalty-free stock illustration of a young man with blond hair trapped in an ice block and wearing winter clothes: a scarf, a beanie, and gloves. 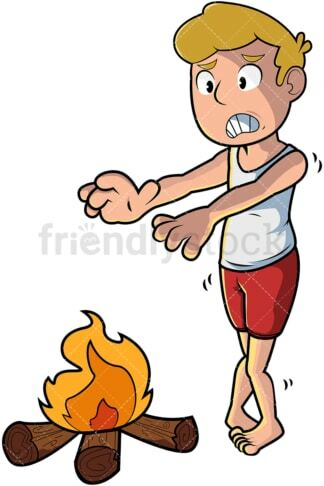 Royalty-free stock illustration of a young man with blond hair out in the freezing cold with just a sleeveless t-shirt and shorts on, trying to keep warm by a campfire. Royalty-free stock illustration of a young man with blond hair holding a hot beverage while sitting on snow out in the cold. Royalty-free stock illustration of a young man with blond hair trying to get of an ice cube. 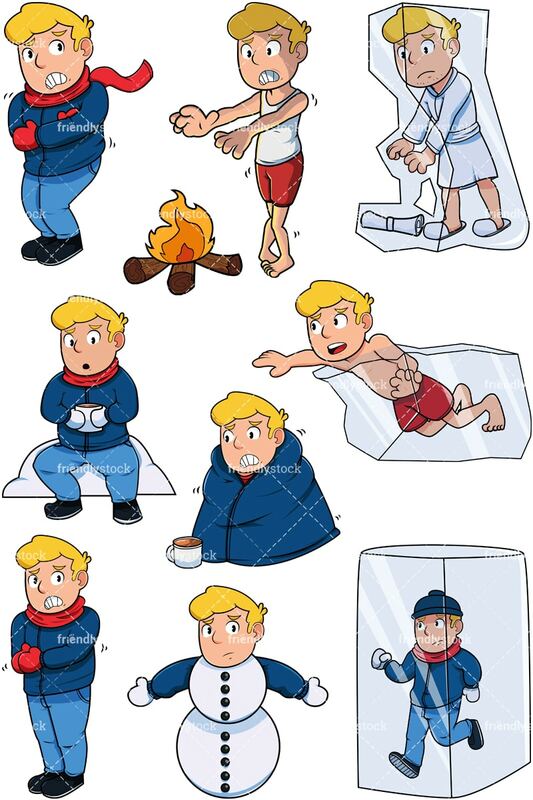 Royalty-free stock illustration of a young man with blond hair wearing winter clothes and shivering from the cold. 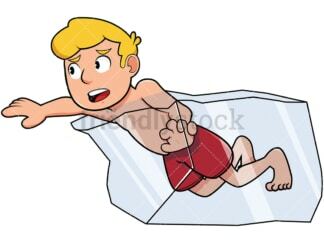 Royalty-free stock illustration of a young man with blond hair caught in an ice cube frozen in place while trying to pick up a towel or paper.